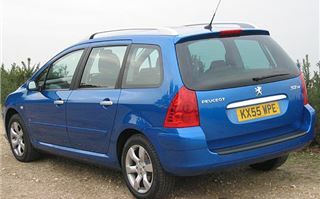 It was a bit embarrassing being asked to long-term test a facelift Peugeot 307SW when I was already long-terming a Ford C-Max. But it has made for quite a useful comparison. 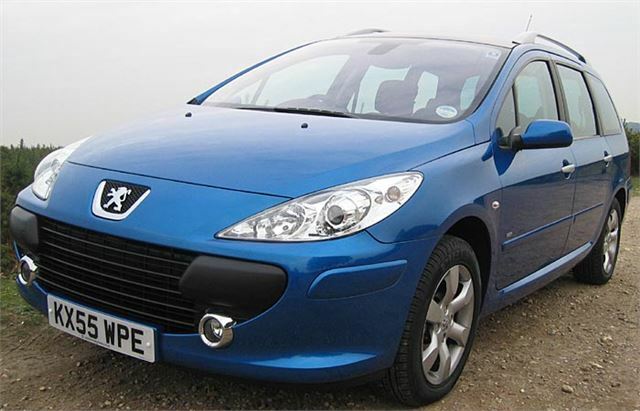 For a start, the 307SW is a genuine 7-seater. The fact that the centre three seats individually slide as well as double fold means that with a bit of co-operation most families of seven can make sure everyone has enough legroom. 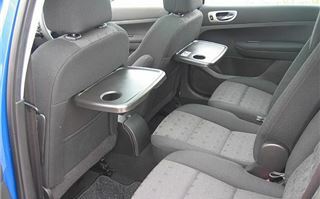 At 5’ 9” I can arrange the seats so I am comfortable in all seven of them. And that’s the 307SW’s unique selling proposition. 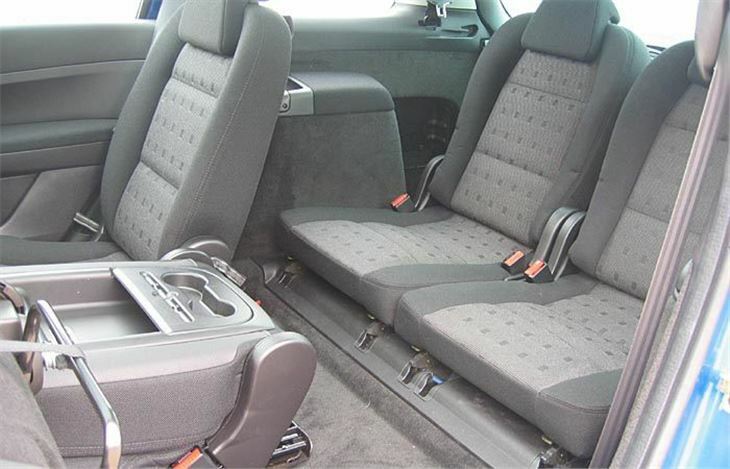 It is now the one and only station wagon with seven forward-facing seats that can comfortably accommodate seven. 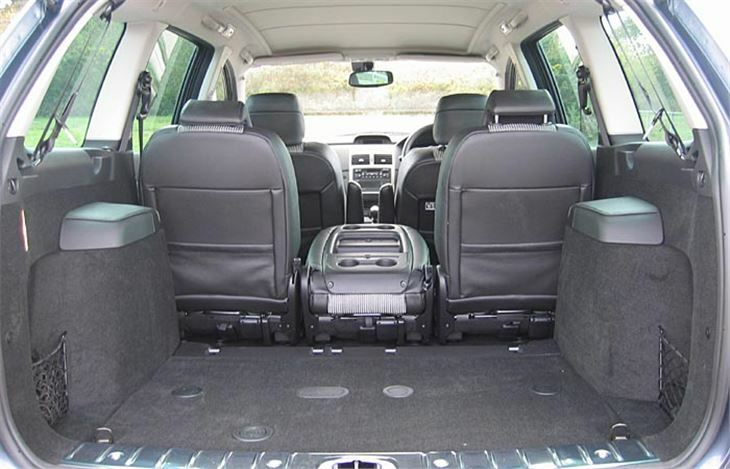 It lacks a few things ‘my’ C-Max has, such as cruise control and optional satnav. It’s not as easy to get in and out of. Nor is it quite as comfortable. However (makes a change from ‘but’), Peugeot seems to have been working on the engine. It should be exactly the same 136PS PSA 16 valve diesel as the C-Max’s. Yet it doesn’t feel the same. 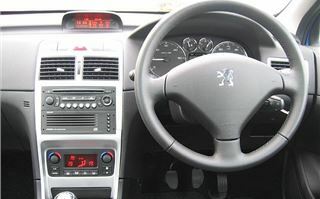 Whereas in the C-Max, torque comes in with such a wallop it can spin its front wheels in 2nd, the Peugeot takes its time. And now I’ve just about got the engine run-in it’s proving to be as smooth in its power and torque delivery as the always excellent 1.6 16 valve diesel. Add to that the superb ride quality, the wonderful Peugeot steering ‘feel’, and the handling, it really has become a pleasure to drive. And it seems to stretch a gallon of the smelly stuff a bit further than the C-Max too. Then it blotted its copybook. Okay, I’d been in a hurry and I’d done what I advise my readers never to do. I’d started from cold, driven half a mile and switched off to buy some stop lamp bulbs. Then I started again and drove a mile or so to fit them. Then I started the engine again, third time from cold and ‘depollution system faulty’ came up on the dash together with a lack of power. I drove through the lack of power, ignored the warning and as soon as I had the engine properly warmed up on the motorway the warning went out. 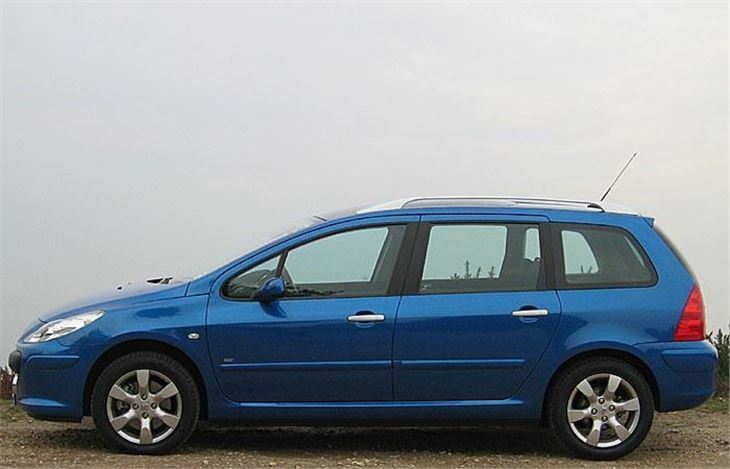 One thing is for sure: there is not another MPV anywhere in the world that outhandles the 307SW (not even the Mazda 5). It drives, grips and gives even more pleasure than the 307 hatchback. And with the 138PS (136bhp) 2.0 litre 16v HDI it’s geared to give 35mph per 1,000 rpm in 6th, so you can cruise all day at 90mph and around 2,500rpm. In fact, it’s so high geared that you need to use lower gears for lesser speeds: 5th is more appropriate for a 50 limit, 4th for 40mph contra-flows, and 3rd for 30mph limits. So while it’s a fantastic tourer and people mover, with that ultra-tall 6th it probably isn’t a very good caravan tower. Inside, just like an MPV, you get three individual sliding, double-folding, removable centre-rear seats and two folding, removable forward-facing rearmost seats, which are sold as optional extras. 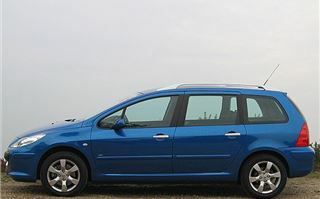 Unlike an MPV, you also get a wonderful full-length heat-reflective glass roof that brightens up the interior on a sunny day and can be curtained off with an electric blind when the sun refuses to shine. It’s a 7-seater that goes and handles like a sports car, yet only chucks out 148g/km CO2 and averages 50.4mpg on the combined cycle. And it has the very neat feature of door mirrors which automatically fold when you lock the car. What more could you want?